1-2 tbsp Garlic infused Olive Oil. Preset oven to 200°C, fan forced. Cut the beetroots into small wedges. 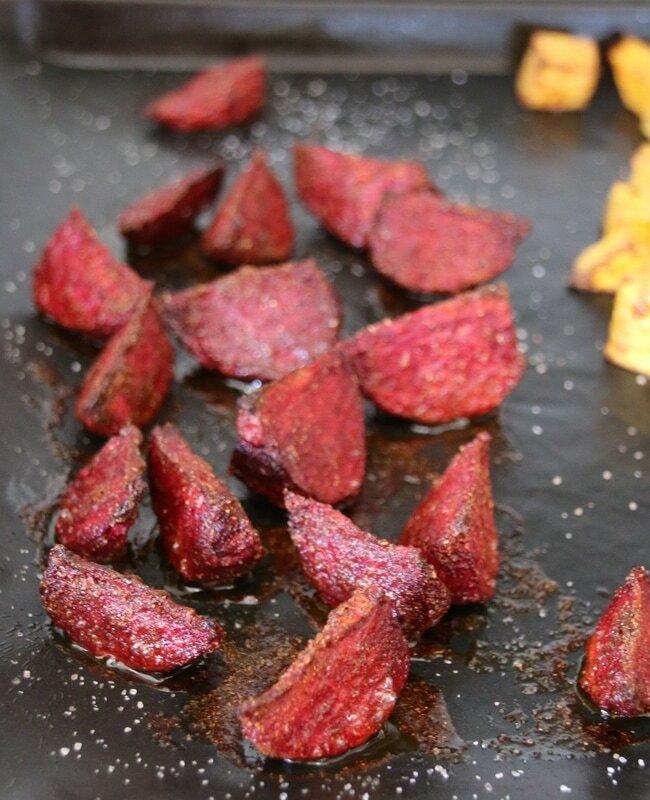 Place the beetroot wedges in a bowl and mix with the garlic infused oil, sweet paprika, coriander and cumin until evenly coated. Spread the beetroot slices onto a baking tray covered with baking paper or a reusable baking sheet. Sprinkle with salt. Bake for 30 minutes or until just tender. 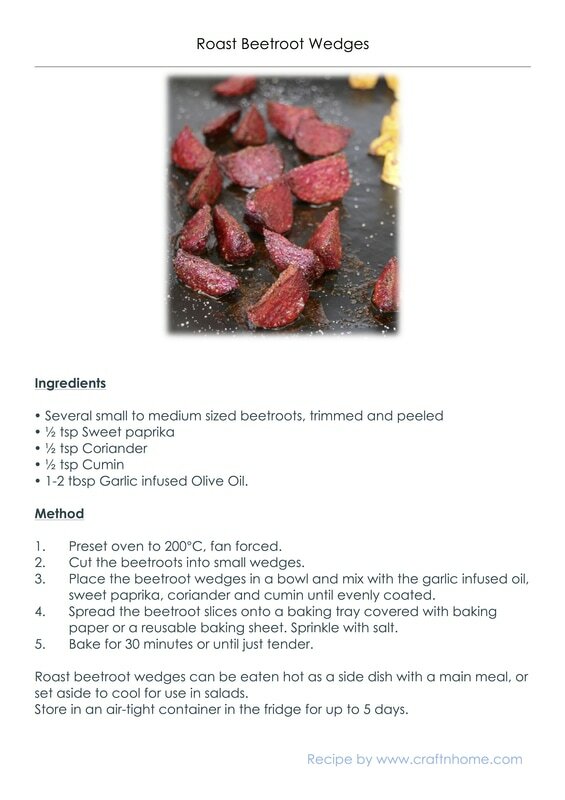 Roast beetroot wedges can be eaten hot as a side dish with a main meal, or set aside to cool for use in salads. Yum! Store in an air-tight container in the fridge for up to 5 days. 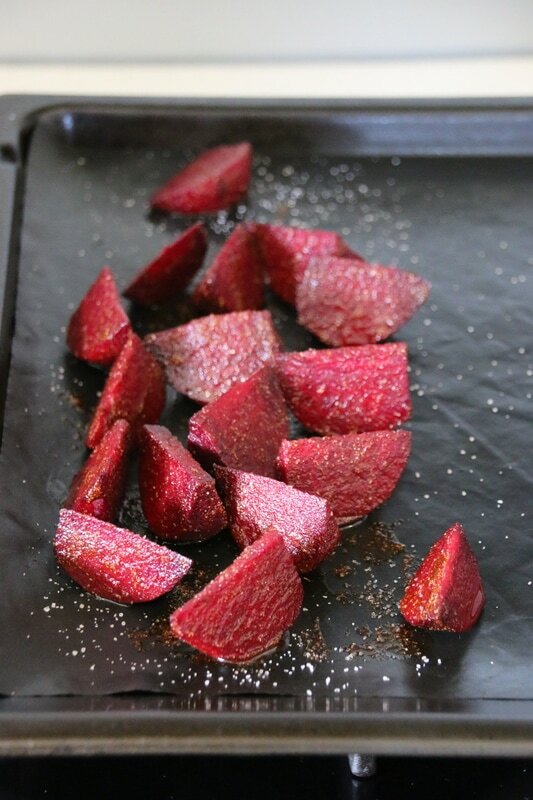 Beetroot Wedges, spiced and salted on baking tray.